Admitted students are invited to explore and celebrate the exciting possibilities that await you at UMSL. As an accepted student, you can register for an upcoming Student for a Day & Overnight Experience. This is your opportunity to spend 24 hours immersed in the Triton experience. 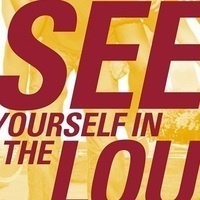 As part of this experience, you will attend a class, enjoy dining services for dinner, breakfast and lunch; attend a featured evening UMSL or St. Louis event; learn and experience first-hand what it is like to live on campus; and engage with current students to learn about the true Triton college experience. We are confident that at the end of this experience, you will Choose UMSL as the perfect place for you to begin your college journey.